In 2013 and 2015 we've organized an one day excursion on the Peloponnese across Hydra, to visit the ancient theater of Epidaurus and other picturesque sites in the mainland. These trips have been very popular, and we probably will do it again either on Thursday June 8 or Friday June 9. Number of seats in the bus will be limited to about 50. More about this later. In 2015, the price was 70 eur including boat, bus, ticket to the museum, delicious meal and guiding by our local friend Lakis. Budget for 2017 is still open (it will be up to the number of people who want to do the excursion). Lakis has promised to make a bit different route this time. This way everybody will have something new to see. We also hope to have the grand opening of the Famous Stone Bench! At the moment the Municipality is still waiting for final approval from the Historical Office in Athens. The city plans to build the bench during the Winter. Let's keep fingers crossed! We will also rent the Open Air cinema for either Saturday or Sunday evening, and are going to show you some interesting video footage... Some 5-10 eur per person will be collected to pay the rent, the fee will be up to the number of participants. Last time we had 160 Cohenites on the island, but earlier the typical number was some 50-60. The program with more precise details will be available next Spring. We have posted this announcement already now, in September 2016, so that you may make necessary arrangements at your work and reserve your flights and accommodation as early as possible. We have to underline that this will not be any official gathering, just a meetup for people who want to spend some time on the beautiful island with like-minded Cohenites. We will give some advice about the connections from Athens/Piraeus to Hydra and some addresses for booking your accommodation, but all arrangements are up to the travellers themselves. Early June has been chosen again for several reasons. First of all, the tourist season has not yet begun - there are rooms available at all hotels, and the prices are lower than a week or two later. The weather is ideal, not yet hot but warm enough. The restaurants are not full, and serve - as always - most delicious food. One more time: this unofficial gathering is for people who want to spend some time together on the beautiful island. 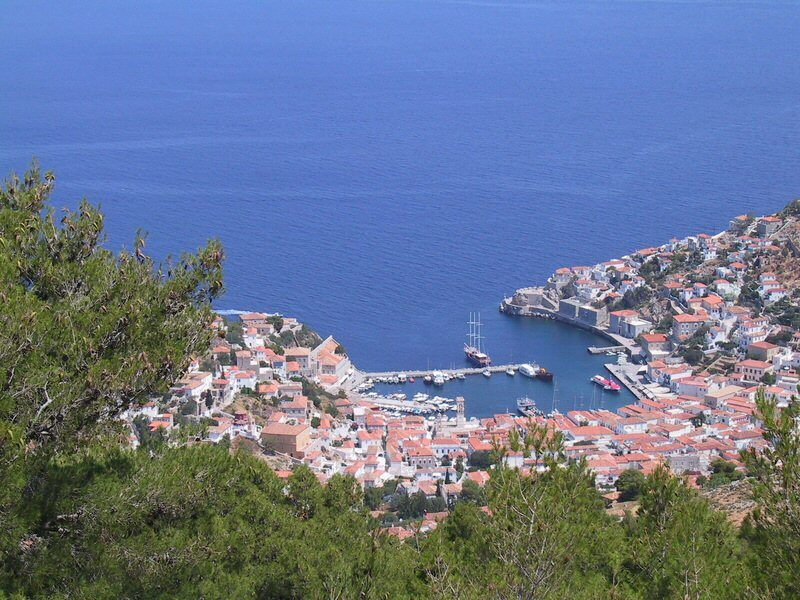 We will suggest good restaurants for dinners, we enjoy some Mythoses at the Roloi Bar in the harbour, maybe do some walks in the Hydra city and up to the hills -- it will be more like a holiday! We hope that those who play guitar will take their instruments with them! Even if the meetup is less formal than our Events, we need to have some idea of the number of participants. Please let us know by email to Jarkko (use email button under my avatar on the left), if you plan to come. Your name will be listed on the Hydra Meetup page at http://www.leonardcohenfiles.com/backtohydra.html (let us know if you don't want to show it). You will also find links to photo galleries and videos on that page. Re: Hydra 2017 - Invitation! Today, only five days after the invitation was posted, we have already more than 40 names in the list of participants. I have received today more than 200 emails and have not been able to answer, yet. Will try to do it during the weekend. Several of you have asked if there will be changes in our Event/Meetup/Walking Weekend plans. We will meet on Hydra next June, and have the Walking Weekend in the Fall 2017 in the Balaton lake district, followed by our next big Event in Budapest in 2018. Leonard has left us but we have his music and poetry. Our get-togethers will bring us back together and give us chance to treasure all those beautiful memories. The 2017 Hydra list has tonight already exactly 100 names - this is going to be a BIG gathering. I cannot find the sign-up list this time, unlike 2002, 07, and 15 when I went. Please help! Coming! Just need to book flights, check insurance situation etc. Glad to be back here again, after times of personal sorrow. You may remember me, Carmen by name - and forever a Cohen fan. And more than ever before, I would like to participate in the 2017 Hydra meeting. Hi Jarkko - so happy to read this post - I hope to be there this year! Hi please add my daughter Zoë Carlyon to the list.Thank you. 1. Be put in touch with anyone coming from London so can travel together. 2. What hotels do you recommend? Would members who will take a flight from London to Athens contact Cordelia directly! Any hotel/pension close to the harbor would be ok. There will be some of our group in each of them! (We had about the same number at the 2002 LC Event on the island). No bench news yet - but our local friend and contact Lakis will be in Athens next week. He plans to go to the Historical Office with Mr. Rappas to talk about our project. I'm looking forward to seeing some familiar faces and getting to know others I haven't had the pleasure to meet in the past. Be well and travel safely! wow!! !....just checked and i see the participant numbers are heading up to the 250 mark!!! jarkko...do you know if nikolas has arranged for our favourite singer to perform again this year at the roloi?..